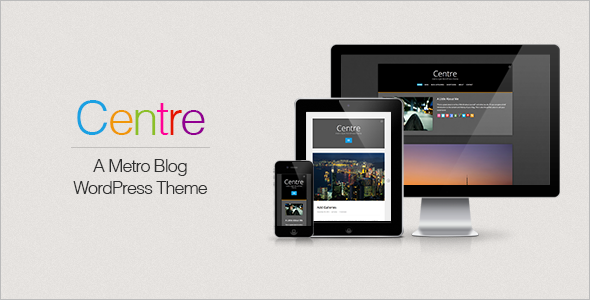 Centre is a great blog WordPress theme created with a metro design aesthetic. With lots of clean lines, bold colors, and useful features Centre is the perfect fit for professional and novice bloggers alike. Dark & Light Color Schemes: Make your blog your own with two included color schemes. Choose from the deep dark default or the light and airy color scheme. Pick the one that works best for you and suits your own personal style! – Test them out on the demo under the “skins” link! 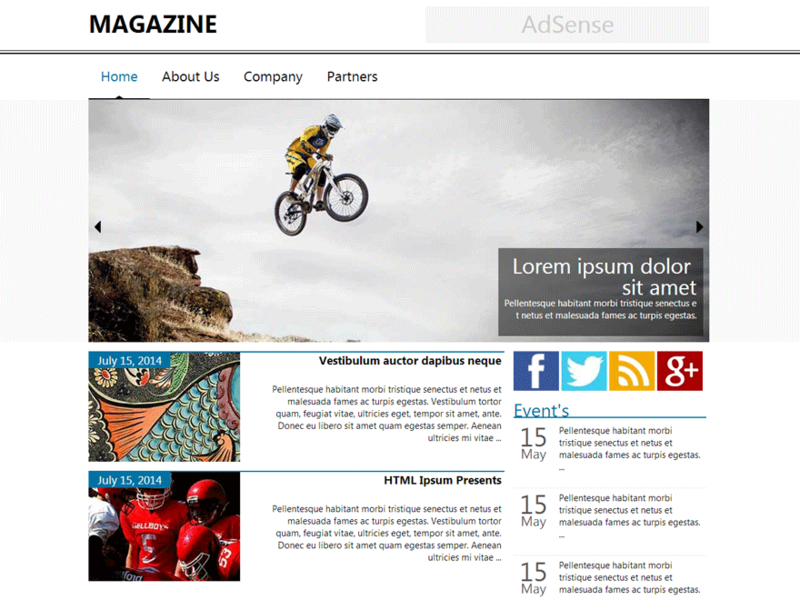 Responsive: Bloggit is a fully responsive theme and resizes to fit your browser or device. The theme has been tested on the iPhone, iTouch, iPad and iPad mini. You can test the “responsiveness” by resizing your browser but the best way is to actually take out your phone or tablet and test the theme there! 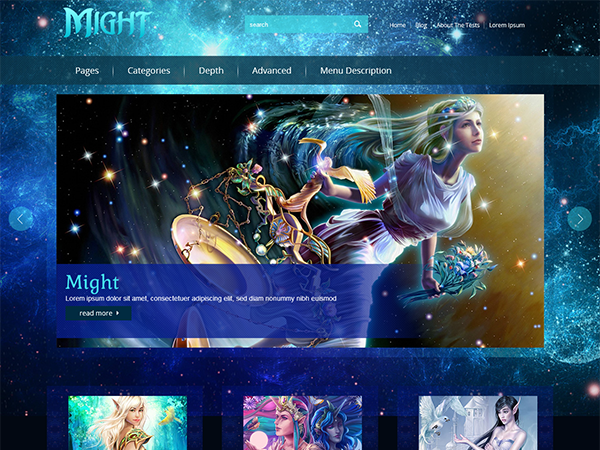 Homepage Introduction: Centre features a fun introduction section on the homepage. This is a great way to give readers a quick overview about yourself or your site. It’s also the perfect place to insert some social icons and collect some more followers on any social sites you are actively a part of. 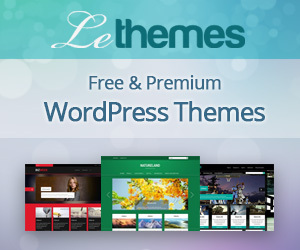 Post Formats: The theme comes with support for 6 post formats: standard, image, gallery, link, quote and video. Centre uses PrettyPhoto for image posts formats, so readers and expand any pictures you add and check them out at full size. For the gallery posts, Centre takes advantage of the core media gallery system in WordPress 3.5 and Jetpack’s tiled gallery option to create beautiful tiled galleries (view sample gallery). And the theme has an oEmded meta option to add videos in a snap. Metro Design Touches: One of the coolest design features of Centre is that each post format has its own custom color assignment on the homepage! This adds a lot of depth and visual interest to the theme, and allows readers to quickly identify what type of content is in a post before they open it. Other metro features are the simply stunning search, back to top, and next/previous icons throughout the theme. Also, be sure to take a peak at the bold and bright 404 page. Sneaky Search Bar: Centre has a hidden toggled search bar at the top of the header to keep the overall look of the theme as minimal as possible. This way readers can click on the search icon to open the search bar when they need it, and not be bothered with it when they don’t. Shortcodes: The Symple Shortcodes plugin is included in Centre, and gives you lots of customization options. 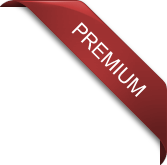 Included are shortcodes for social icons, Google maps, headings, highlights, buttons, boxes, toggles, accordion, tabs, testimonials, pricing tables, and columns. Take a look at the “Shortcodes” page on the demo to see them in action! And More! 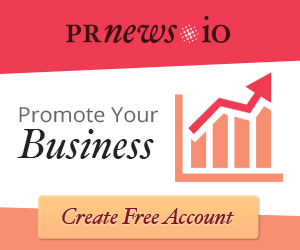 : We plan to provide regular updates and new features as we see fit. Thank you for any suggestions and of course your purchase! W3C Validation Notice: This theme is W3C HTML5 valid, however because we use JetPack’s Photon service (yes this theme has been tested and works well with Photo to increase site speed) and Vimeo videos on the homepage W3C will throw some small errors, but the theme itself is valid. And anything else I forgot to mention!